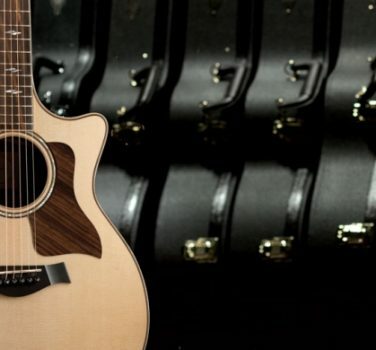 We know a 12-string won’t be the primary guitar for most players. 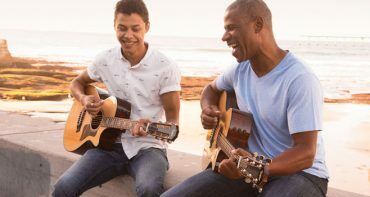 But its shimmering voice serves up an earful of acoustic flavor that can help you enrich your musical repertoire in exciting ways. 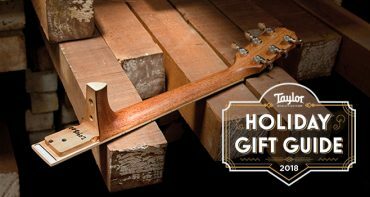 And in our humble opinion, more people would add one to their guitar quiver if they had a chance to wrap their arms around one of our player-friendly Grand Concert models. That’s why this fall we’re offering players two more compelling reasons to pick one up. 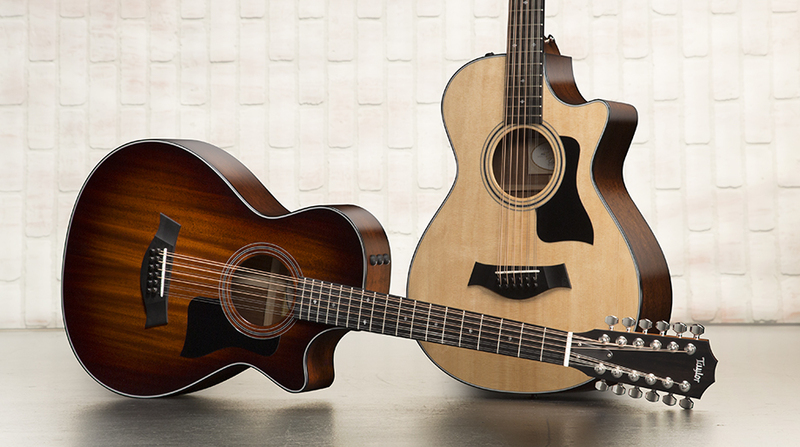 We’re thrilled to introduce the new 12-string/12-fret Grand Concert 362ce, featuring blackwood back and sides with a mahogany top, and the 352ce, which pairs sapele with a Sitka spruce top. 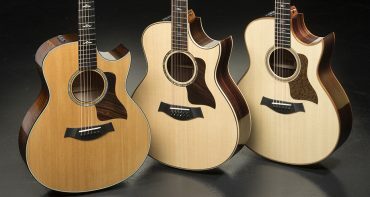 The two models follow last year’s successful debut of the all-mahogany 562ce and mahogany/cedar 552ce, a pair of game-changing small-body beauties that married the comfortably compact Grand Concert form with our 12-fret neck design. 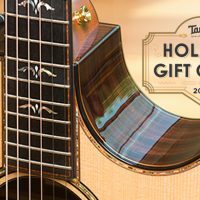 The release marked another step forward in our tradition of crafting easy-playing 12-strings, earning plaudits from critics and players alike. 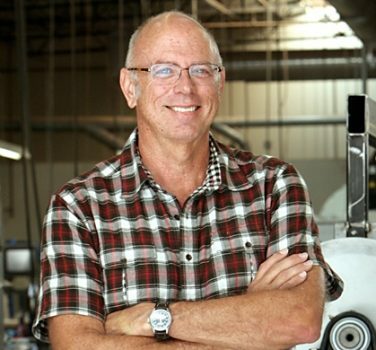 Resident design guru Andy Powers had taken note of the lingering barriers that had kept traditional 12-string guitars out of the hands of many players, among them the larger body size typically used for them and the tendency of a 12-string’s big, rich strumming voice to drown out other instruments in a mix. So he downsized the body style to our lap-happy Grand Concert. 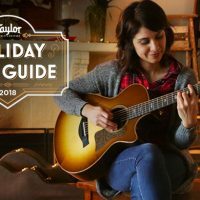 It turns out that the smaller chassis allows for a more efficient 12-string design — the compact body is inherently stronger, which enables it to be braced more lightly. This makes it easier to set those strings in motion. Sonically, it also yields a whole new 12-string flavor: a clear, well-defined shimmer that plays well with others instead of over-resonating. If you do any recording and want to add some nice octave texture to a part — maybe doubling a chord progression to add shimmer — a Grand Concert 12-string will become your new secret weapon. And the playing comfort isn’t just in the lighter, more compact body or our signature sleek neck profile — it’s also the shorter 12-fret neck-to-body relationship. Shifting the neck closer to the body creates a nicely balanced weight distribution, and together with the 24-7/8-inch scale length, delivers the most comfortable handfeel you’ll find on any 12-string guitar out there. 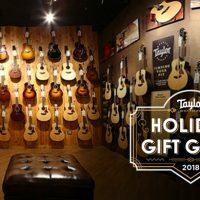 The shifted bridge placement with the 12-fret design (closer to the center of the lower bout) also gives both guitars impressive projection for a small-body acoustic, without requiring a strong attack to set the strings in motion. 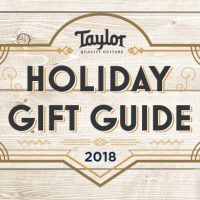 Since a 12-string for most players would be a secondary instrument, having access to a pair of models within our 300 Series now makes the notion of owning a small-body Taylor 12-string a more budget-friendly proposition, while still preserving all the tonal goodness of an all-solid-wood acoustic. 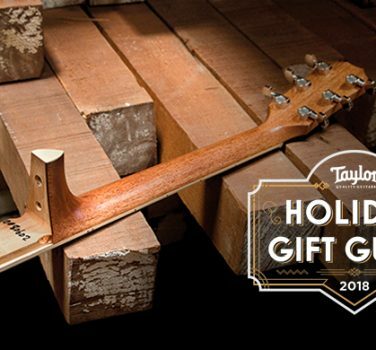 The two different wood pairings also present two distinctive sonic personalities, allowing you to find the right match for your playing applications. The 362ce‘s hardwood mahogany top lends some natural compression to the tonal response, helping to create a clear and balanced output across the frequency spectrum, including the octave courses, with smooth note decay. 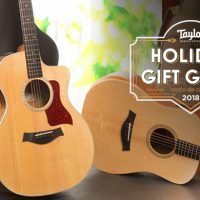 The spruce-top 352ce, by comparison, will yield a slightly more immediate response, with a bit more top-end brightness and a crisp, dynamic voice. 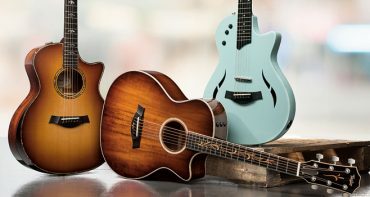 Visually, if you like a darker vintage aesthetic, you’ll probably gravitate toward the 362ce’s shaded edgeburst mahogany top and the all-satin body, while the 352ce sports a clean, contemporary look with the glossy spruce top. Whichever way you lean, one thing is certain: Bring this to a jam session and your friends will be fighting over who gets to play it next. 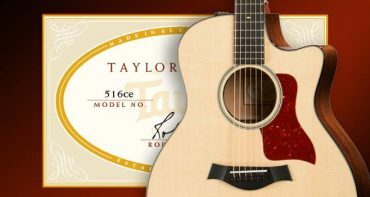 Find of these fine small-bodied 12-strings at your local authorized Taylor Guitars dealer HERE.